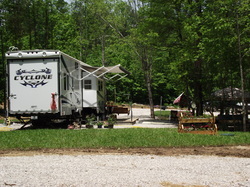 Whitley County boasts a variety of lodging options, ranging from affordable motels located along I-75 to cabins and campsites near the Daniel Boone National Forest and Laurel Lake. 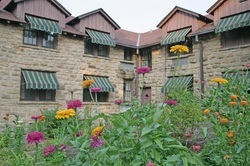 To fully experience the wonder of Cumberland Falls, visitors have several lodging options at the Cumberland Falls State Resort Park - - the closest lodging to the falls within Whitley County. For information about staying at the historic Cumberland Falls Lodge or at one of the resort park's cabins or campsites, call (800)325-0063 or click here. Dupont Lodge -The solid hemlock beams and knotty pine paneling complement the massive stone fireplaces in historic DuPont Lodge. Fifty-one rooms offer beautiful views and full amenities including interior corridors. All rooms totally renovated in 2006. Relax on the beautiful, large observation deck overlooking the Cumberland River winding thru the hillside. It provides a spectacular spot for a wedding. Cottages - The one and two-bedroom cottages have unique appeal. 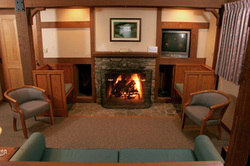 Most cottages have fireplaces. Furnished with all the comforts of home…kitchen is supplied with full-sized appliances and coffee pot, flatware, cookware, dish ware. Bedrooms are supplied with all linens. Two bedroom also has two full bathrooms. Enjoy your porch or patio with grill. Daily maid service is available only upon request. Fresh terry/linens are provided daily. This is our newest addition to our lodging options and is the first cabin available under our new Falls Creek Cabins and Campground expansion. 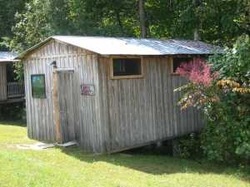 This is a 3-bedroom, 1.5 bath cabin with a kitchen, gas fireplace, HD flat screen TV, phone and heat/air. It is available year-round. Please visit our Falls Creek Cabins and Campground website for a full description and pricing! We are taking reservations!! These are rustic one room wooden cabins set on the edge of the Daniel Boone National Forest. Each cabin has a back porch that overlooks the forest. 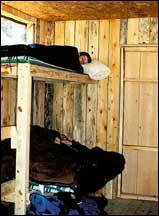 There are 6 single bunks and 2 couples-bunks in each cabin, which sleeps 6 to 10. The porch has built-in seating around the edges, as well as a propane stove to cook on. Bring your own cooking and sleeping gear. There is a bathhouse nearby with hot showers and flush toilets. We provide a bundle of firewood for each night's rental. Additional bundles are available for purchase. The Sheltowee Trace Outfitters complex is located on Hwy 90, 10 miles west of I-75 off of Exit 25 (Corbin) or Exit 15 (Williamsburg). 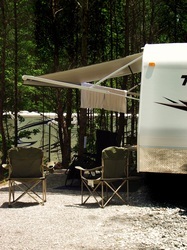 We are just 5 miles east of Cumberland Falls State Resort Park. 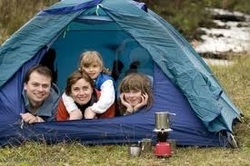 We have 4 primitive (no water or electricity) tent sites perfect for those that want to stay off the beaten path. 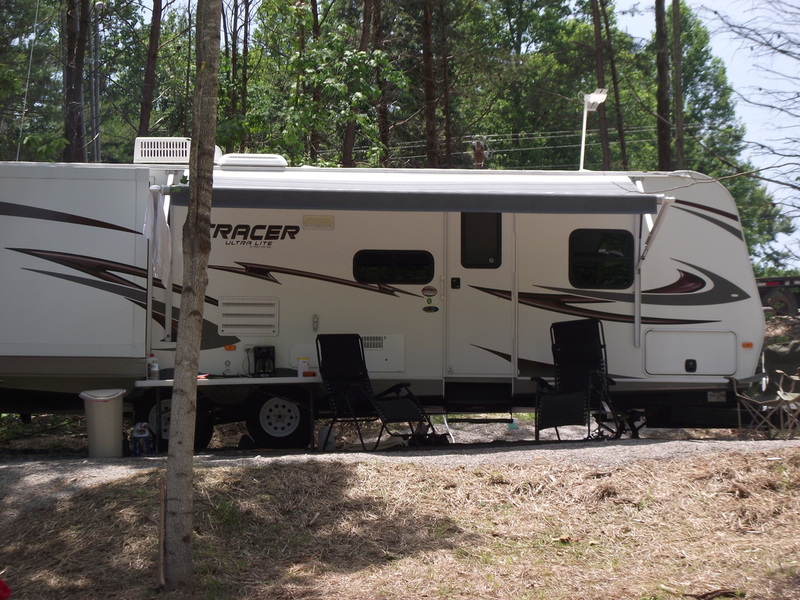 These sites are nestled in the woods and are walk-in sites (approximately 100 yards from parking). Two of the sites are group sites that can handle 10 people each. These are located across from each other, so groups of up to 20 can be accommodated at these sites. 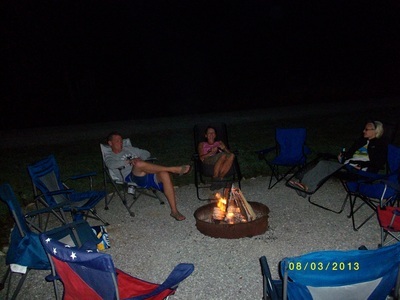 Each site has a fire ring and picnic table. There is plenty of down wood in the forest, so you do not need to bring your own wood. Firewood is available at our store for $4/bundle. Bathhouse privileges (hot showers/flush toilets) are included. 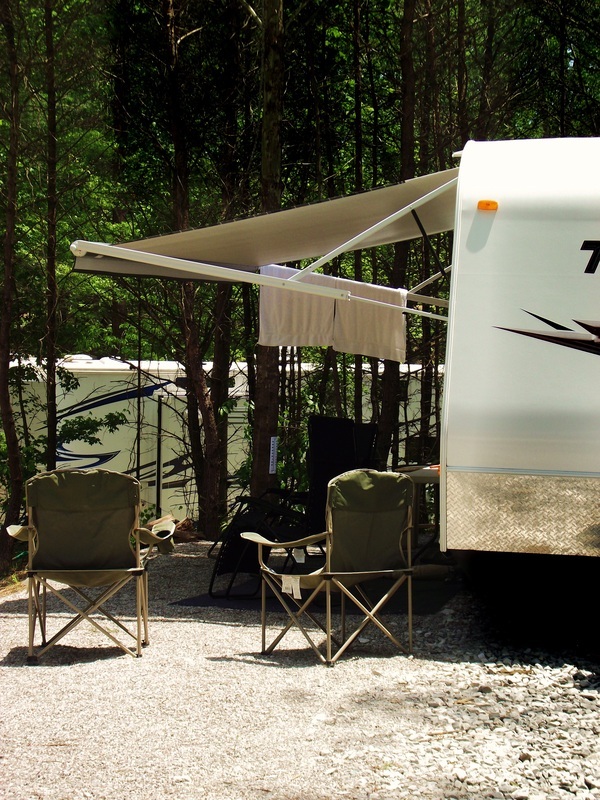 We have an additional 4 primitive tent sites that are still walk-in, but are closer to where you can unload your vehicle. These sites are wooded, but are closer to the main road and the front buildings. All 4 sites can be booked together to accommodate groups up to 24 people. 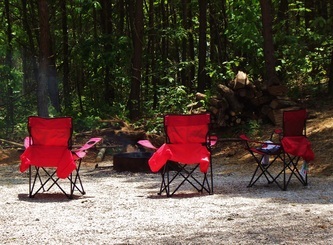 Each site has a fire ring and picnic table. There is plenty of down wood in the forest, so you do not need to bring your own wood. Firewood is available at our store for $4/bundle. Bathhouse privileges (hot showers/flush toilets) are included. 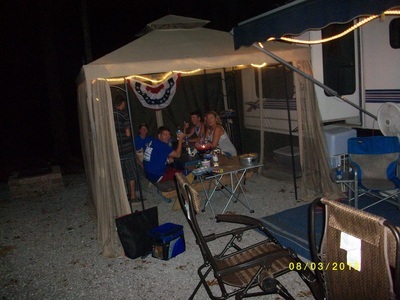 Group field camping is available on-site. This is basically an open field that we allow groups to camp in. You will need to bring any picnic tables, fire barrels (no ground fires allowed), cooking facilities, etc. Dead and down wood can be collected from the surrounding woods, or you can purchase bundles from the store. Easy access to bathhouse with hot showers, flush toilets, and an outside spigot for water. There is plenty of run around room on site. Vehicles can be unloaded from driveway adjacent to field and then moved to main parking lot. 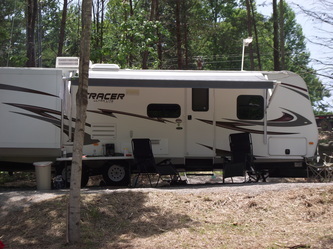 Located on Highway 90 next to Sheltowee Trace Outfitters. Five miles east of Cumberland Falls State Resort Park and 10 miles off I-75 near Corbin and Williamsburg. Offering 16 full hook up sites (water and sewage with 50 & 30 amp electric services).